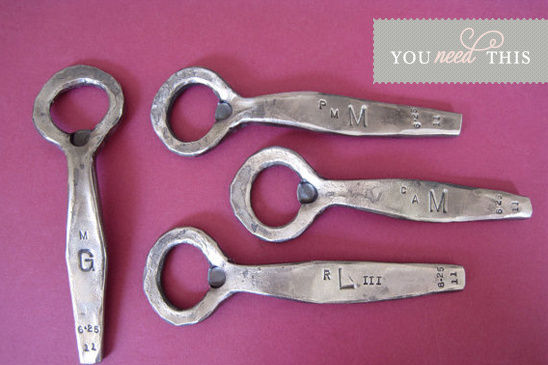 You just might need these Bottle Openers that were Hand-forged by a Blacksmith. We are always on the search for neat gift ideas, and we just happened to stumble upon these little treasures. What a perfect gift for your groom, your dad or the groomsmen. These very cool keepsakes were hand-forged by blacksmith Benjamin Westbrook in Western Massachusetts. We think any guy would be lucky to get this. Benjamin, or hammeronsteel as she is known on Etsy, only takes custom orders, so you might want to order early.